The promo will be on November 11, 2016 only. 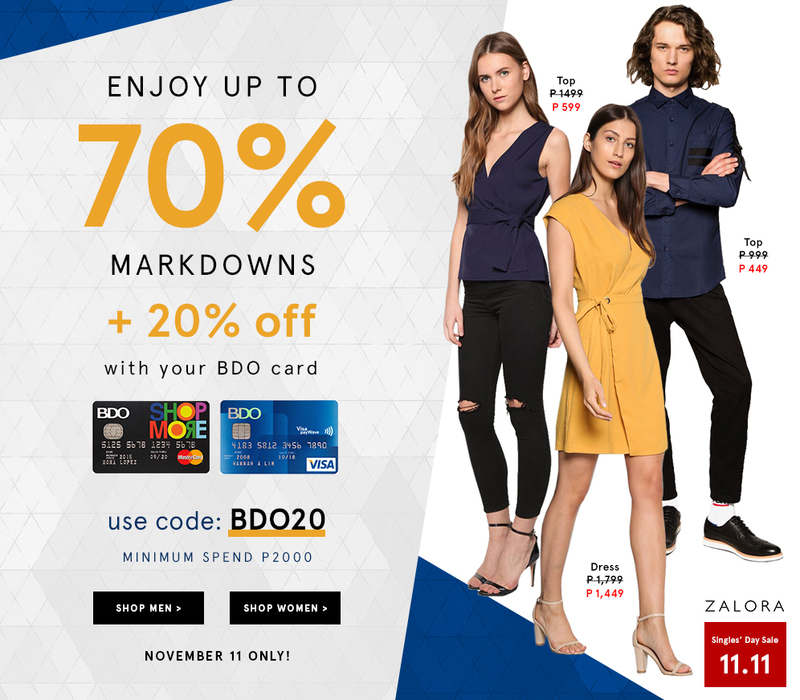 Qualified cardholders get 20% off for a minimum spend of P2,000. The discount may be availed for multiple use. The discount is not valid on certain brands and categories. For the complete list, visit www.zalora.com.ph/faqnon-sale. Per DTI FTEB SPD Permit No. 14588, Series of 2016.